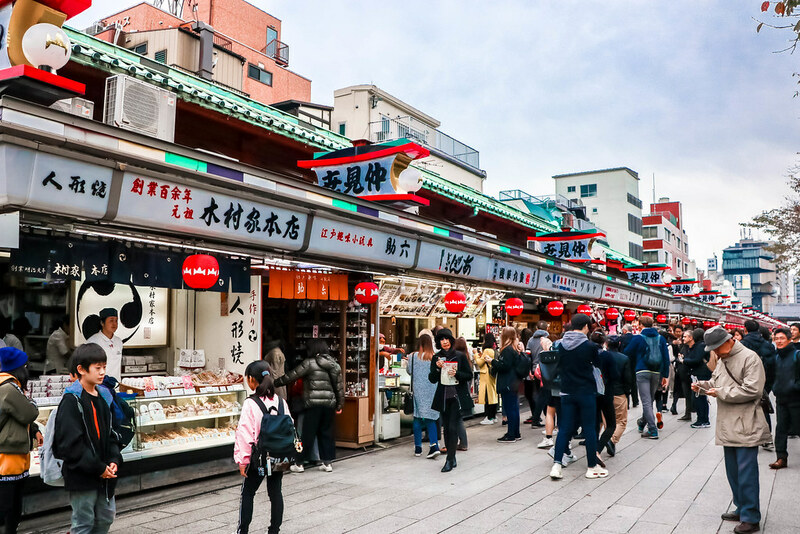 Located in Tokyo’s traditional district of Asakusa, the Sensoji temple, also known as the Asakusa Kannon Temple, is one of the city’s most frequented and colourful Buddhist temples. After doing some research, I learnt that two brothers fished a statue of Kannon, the Goddess of Mercy, out of the Simida River back in the year 628. Although the brothers returned the statue back into the river, it always went back to them. This resulted in the construction of the Sensoji temple which was built nearby the river for the Goddess of Mercy. Completed in the year 645, the Sensoji temple is Tokyo’s oldest temple. 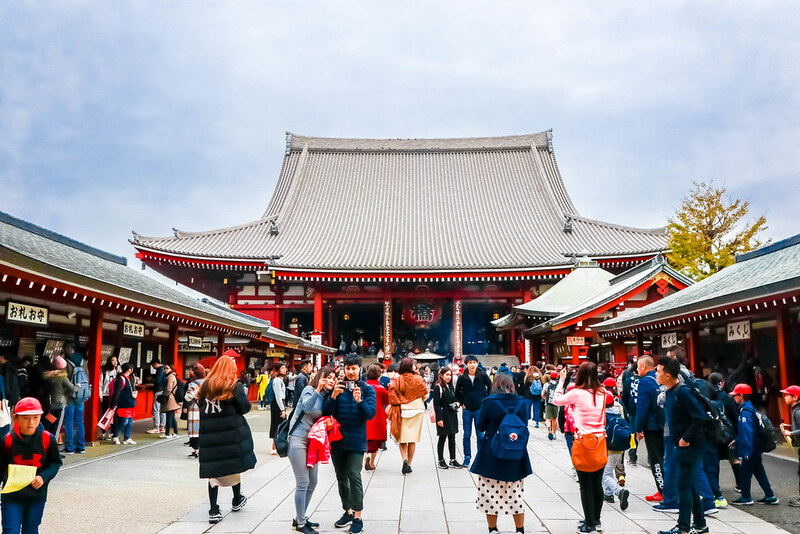 I first entered the temple through the Kaminarimon (Thunder Gate), the outer gate of the Sensoji temple, and the symbol of Asakusa and the entire city of Tokyo. Upon entering the outer gate, I followed a shopping street of over 200-metres, called Nakamise, which lead me from the outer gate to the temple’s second gate, the Hozomon. 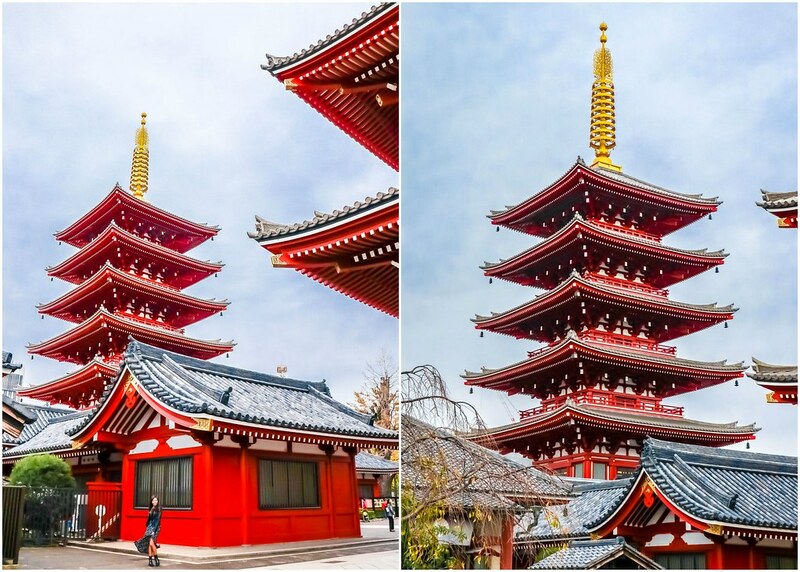 Beyond the Hozomon Gate stands the temple’s main hall and a five-storied pagoda. Unfortunately, the buildings have been severely damaged during war times in the past, and the ones you see today are relatively new reconstructions. The Asakusa Shrine, built in the year 1649 by Tokugawa Iemitsu, stands only a few dozen metres to the left of the temple’s main building. I’m a freethinker and have never prayed at temples, so it was interesting to stand at a corner to observe the locals who pray at the Sensoji temple before I followed their steps to pray properly. 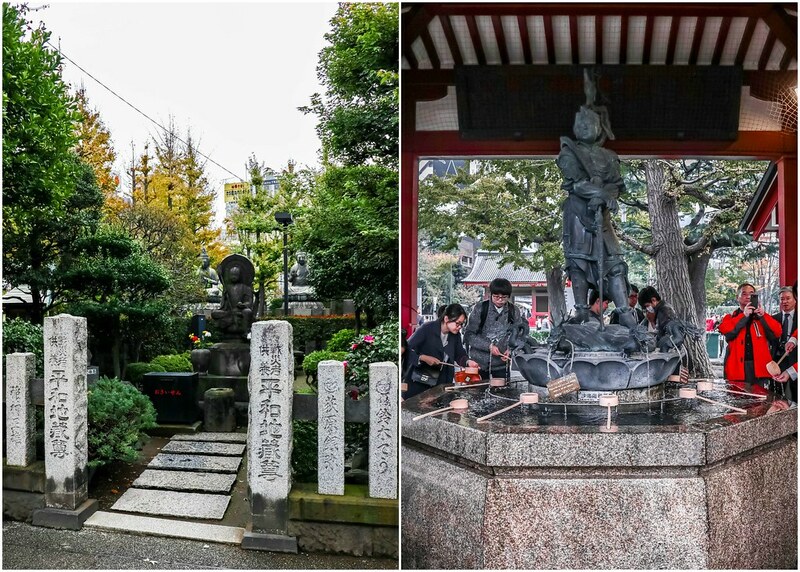 The first step is to cleanse your body at the chozuya, a space where you can wash your hands. This symbolises purifying your body and mind before prayer. 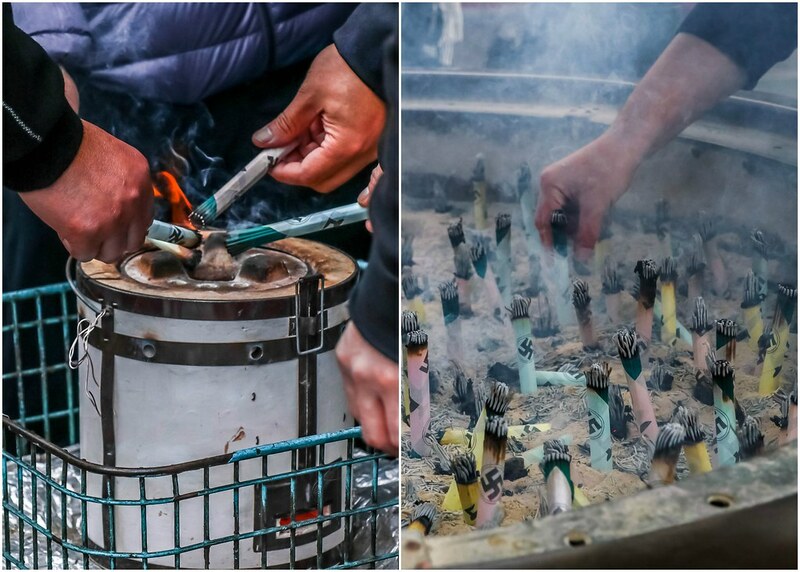 Next, you can either ring a bell called bonshuu, or burn incense (depending on the temple), before offering saisen money. You can place any amount of money in the box placed in front of the main temple hall. To pray, press your palms together without linking your fingers and bow the upper half of your body. When you’ve finished praying, give one more bow and exit the main area. After praying and exploring the Sensoji temple, I browsed the shops along Nakamise shopping street. 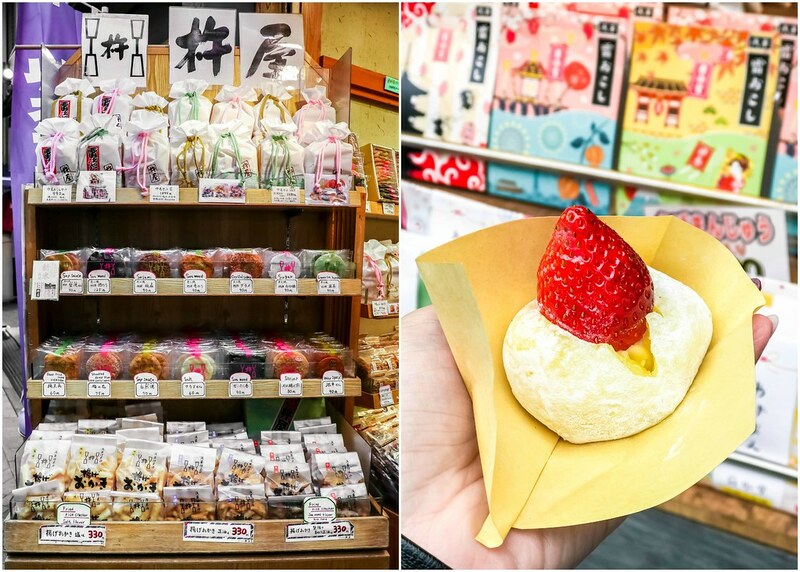 Besides typical Japanese souvenirs such as yukata and folding fans, various traditional local snacks from the Asakusa area are also sold here. 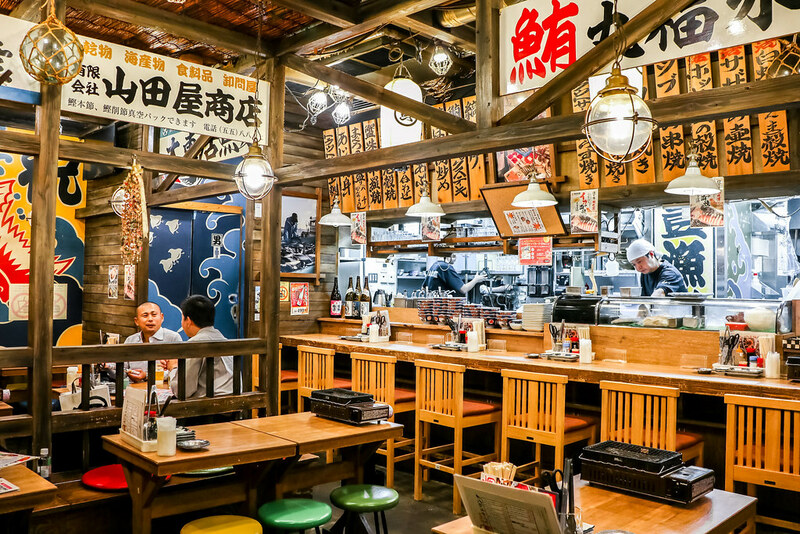 If you’re looking for a hearty meal, you should try Isomaru Suisan Asakusa. 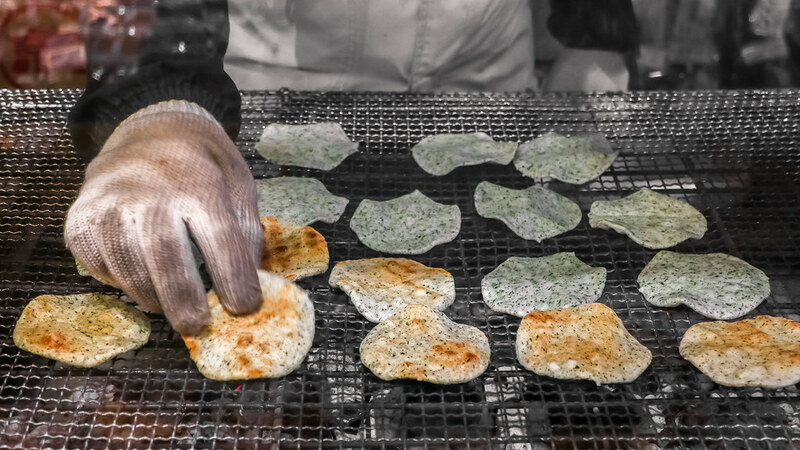 They offer affordably-priced seafood bowls with fish and seafood sourced from markets and fishermen across Japan. I had the Overflowing Seafood Bowl (¥1,030) which includes negitoro, rolled egg, tuna, shrimp, amberjack, salmon, crab, flying fish roe, and sea eel. 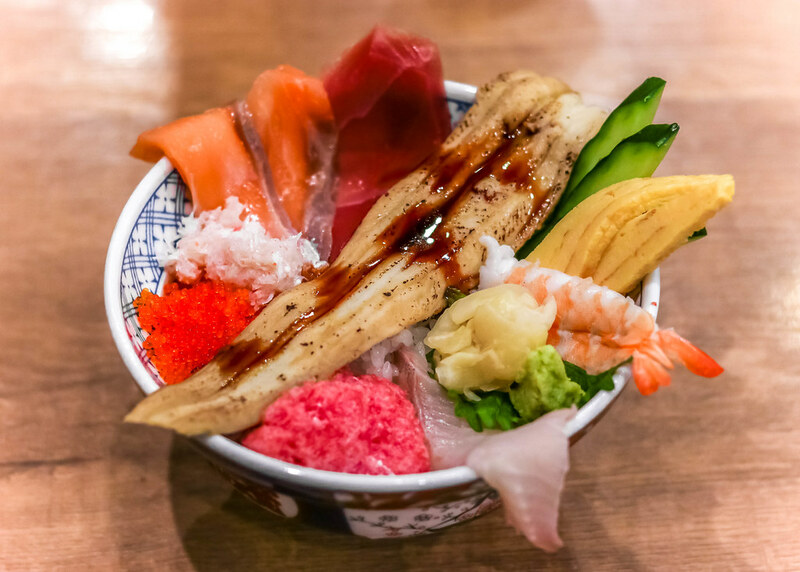 Although it’s not as good as the Chirashi don I had at the Toyosu Market, this value-for-money bowl is good enough to satisfy your craving for seafood. The restaurant also serves seafood items that you can grill on the table, and it’s a pretty fun experience. Out of all the temples I’ve visited in Japan so far, the Sensoji temple is my favourite. Perhaps, this is due to the fact that I also got to shop for local snacks and enjoy tasty seafood around the area.